A unique concept of painting where the art is mounted in a higher level of beauty. The artwork looks very real that deception is almost always the possible result of looking at it from a distant. See it for yourselves. COMMENTS:Gani WebTechnos :Shared on Google+Really looks like real objects on the street road. 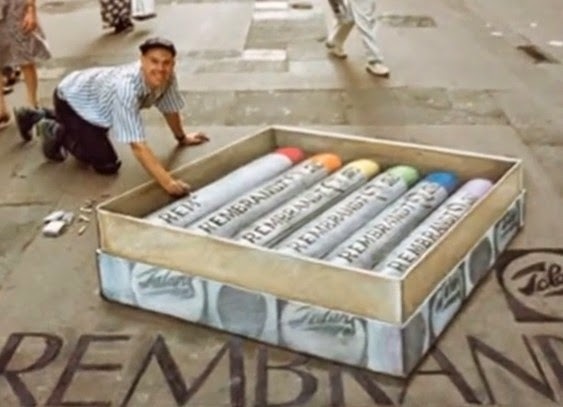 So Wonderful and Amazing 3D Art Paintings Drawing On Street Roads...Elena Kewke:awesome! that's a pro! now I'm just learning to draw... here not long ago i found an online school with a free course on coursmos.com....I hope that soon I will become the pro...Help Me Boss: Shared on Google+ Super 3d art drawing..